Almost all the jumps in the afternoon and early evening during the RedBull NAP event from LEN10.A kitecinema special for all the riders that participated in the event. .
A short trailer for the Philippino TV, introducing our upcoming project shot all around the Philippines.This country made of 7 108 islands on low tide got us a lot of fun in the quest of the perfect spot...Find 'The Far East Tales' series soon on our vimeo channel and website www.thechildrenofrevolution.comIf you like the videos help us for the next projects giving some likes on the vimeo channel & http://www.facebook.com/LightBros?ref=tsEdited by: Forest BakkerShot by: Thomas Paris - Nicolas Paris - Forest Bakker - Gwenaelle Jacquette - Marvin St RequierSong: Mord Fustang - 'The Electric Dream' . Become part of the Airush family on facebook! LIKE it! http://www.facebook.com/AirushInternationalCurrently 1st in the rankings, Alex Pastor and Bruna Kajiya talk a bit about what competing means to them.shot during the PKRA event in Adicora, Venezuelashot and cut by Andre Magaraosong: Black Keys - Gold on the Ceilingwww.airush.com . Riding with friends at Camp Fluid, Lagoa de Albufeira, Portugal.Kiters: Karl Oskar Teien, Marit Nore, Carl Hojman, Alexander Daysh.Edited by Karl Oskar Teien - www.heltkaos.comwww.campfluid.nowww.fluid.no . Windy from december to may and perfect conditions for intermediate & advanced kitesurfers in search of waves.Kite holidays for beginners, intermediate & advanced kitesurfers to Cape Verde: http://www.kiteworldwide.com/destinations-tours/caboverde/Wave Clinics with world champion Mitu Monteiro as your instructor and guide:http://www.kiteworldwide.com/destinations-tours/caboverde-waveclinics/ . In the first episode of "On the Loose," we're introduced to professional kitesurfers Aaron Hadlow and Ruben Lenten. Ruben shows us his home turf on the coast of Holland, before we head to South Africa to meet up with 5X World Champion, Aaron Hadlow. The two are reunited when they head to North Carolina to ride some new rails and kickers. After three days of intense boarding, the boys waste no time celebrating at some of the local bars in Cape Hatteras.Next Episode: http://www.youtube.com/watch?v=__c-o6N40nANew Episodes every Saturday!Follow the boys on Twitter:Ruben -- http://http://twitter.com/#!/rubenlen10Aaron -- http://http://twitter.com/#!/aaronhadlow . From the bottom of a bottle of booze to paradise, follow Florian Daubos to a very lost place, the San Blas archipelago. Located in the far southwest of the Caribbean sea, it is composed of 360 stunning islands spread along the Panamanian coast with the most incredible people, the Kunas - atypical indians who live far from modernity and our occidental commodities.DIRECTOR: Jonas MarpotRIDER: Florian DaubosKITE: TorchBOARD: Money Shot, SkaterHARNESS: MotoSOUNDTRACK: We Broke Free by Metronomy, This Head I Hold by Electric GuestCheck out the gear at http://www.naishkites.com . 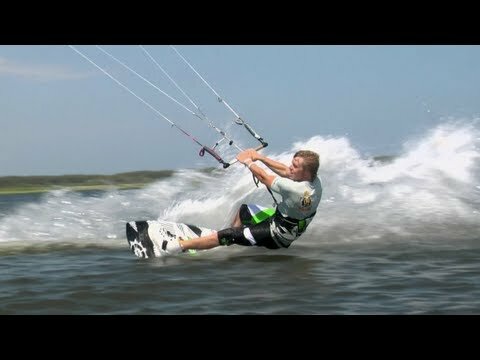 Wrap up video of the first day, PKRA 2012 Turkey in Burc Beach . "this place and its people has been inspiring me"BELIZE KITING COLORSRider : RODOLPHE MACKEENEShoot&Edit by MOUPSProduced by KITEXPLORER - TAKOONMusic By RAINBOW ARABIA "without you" . Flysurfer and SKD team rider "lolo BSD" riding the Speed3 15 & 21m at Weston Shore (UK). 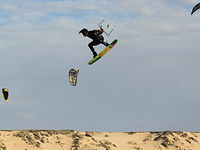 "Just back from the BKSA round1 freestyle Pro Kite LandBoarding, where i took the 2nd place, i had a mega Super Kite Day with my friends at the SKD's Home Spot (Weston Shore). Check this out! 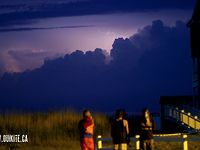 "Thanks to :http://www.flysurfer.com/http://xshape.over-blog.com/http://www.facebook.com/SuperKiteDay . Professional kiteboarder Hannah Whiteley riding on Coche Island, VenezuelaHannah is sponsored by Wainman, Chiemsee, Prolimit, Kite-it-right and ExPixSpecial thanks to Hotel Coche Paradise http://www.hotelcocheparadise.com/Like Hannah's Facebook Page here facebook.com/HannahWhiteleyOfficialPage and check her website http://www.hannahwhiteley.com/song: Lana del Rey - Blue Jeans . 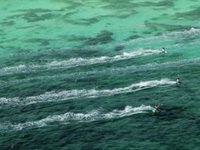 "this place and its people has been inspiring me"BELIZE KITING COLORSRider : RODOLPHE MACKEENEShoot&Edit by MOUPS / contact :mps@moups.comProduced by KITEXPLORER - TAKOONMusic By RAINBOW ARABIA "without you" . As the only Hawaii-based kite company, Naish has the ultimate proving grounds right in our backyard. Check out the Naish Team's born and bred Maui riders Kai Lenny, Shawn Richman and Jesse Richman killing it in everything from Kite Beach freestyle to macking Jaws.DIRECTOR: Olivier Sautet RIDERS: Jesse Richman, Shawn Richman, Kai LennyBOARDS: Skater, Global, Arcade, Money ShotKITES: Park, TorchHARNESSES: Mission, MotoSOUNDTRACK: Shine On You Crazy Diamond by Pink Floydhttp://itunes.apple.com/us/album/shine-on-you-crazy-diamond/id278742835?i=278742890Down The Road by C2Chttp://itunes.apple.com/us/album/down-the-road/id496012477?i=496012480Check out the gear on http://www.naishkites.com . This is our first video for the launch of our website based in Montreal. Filmed last May in Hatteras.Riders : Benoit Carrier, Felix Gourdeau, Arthur De La Mauvinire and Eric Rienstra.Edit : Benjamin Rochette .